After the Chicago Blackhawks defeated the Tampa Bay Lightning to win their third NHL title in six years, captain Jonathan Toews did what any championship captain does upon clinching the world’s biggest hockey title—he lifted the 34.5 lb. trophy over his head. Like the team, the Stanley Cup itself had traveled a long road to get there. 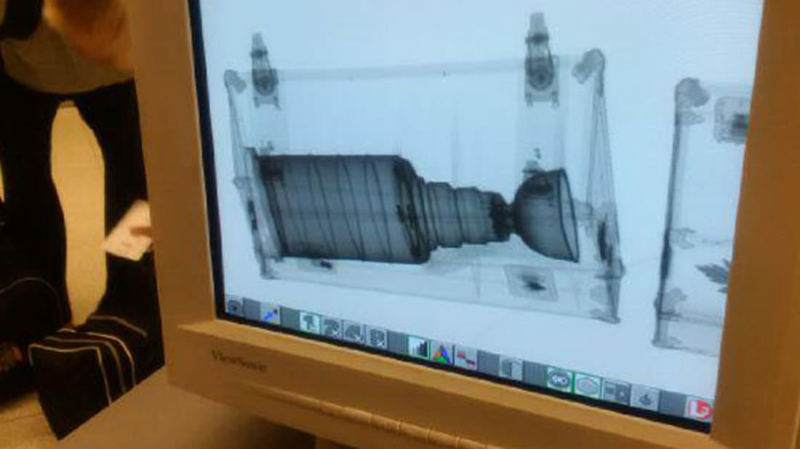 On Monday, Philip Pritchard, the guardian of the Stanley Cup since 1988, tweeted a photo of the trophy going through the security machine the same way backpacks, carry ons, shoes and clear plastic bags with toiletries do. The Conn Smythe Trophy, awarded to the MVP of the playoffs, also had a turn in the X-ray machine. The security measures aren’t unique to Lord Stanley—The World Cup and even the Oscar are subject to a look from TSA too. While the Blackhawks have had a recent run of championships, their game six victory on Monday night was their first at home since 1938.